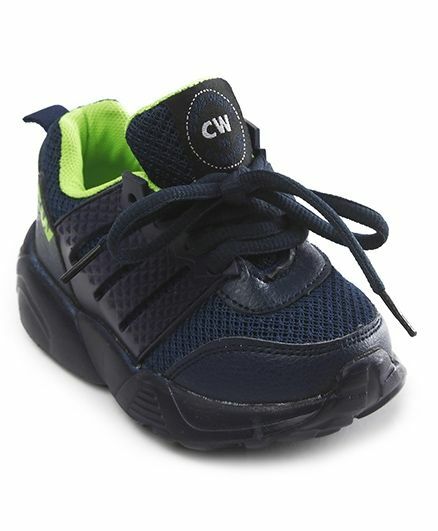 Exhibiting a low-cut design for ankle mobility, these sports shoes by Cute Walk by Babyhug will be an excellent pick for your son. Featuring mesh upper for added breath ability and stability, these shoes have a lace tie up style for a snug fit. The EVA (ethylene vinyl acetate) out sole guarantees better flexibility and traction. These pairs are good except the colour of the sole washes off gradually.